The host was really serviceminded and helped us with the things we needed. We definitly could recommend to stay here. The balcony has an incredible view of the sea. The room was 10 meters from the beach. Once you leave the property, it just takes 5 or 6 steps to be at the beach. Awesome! 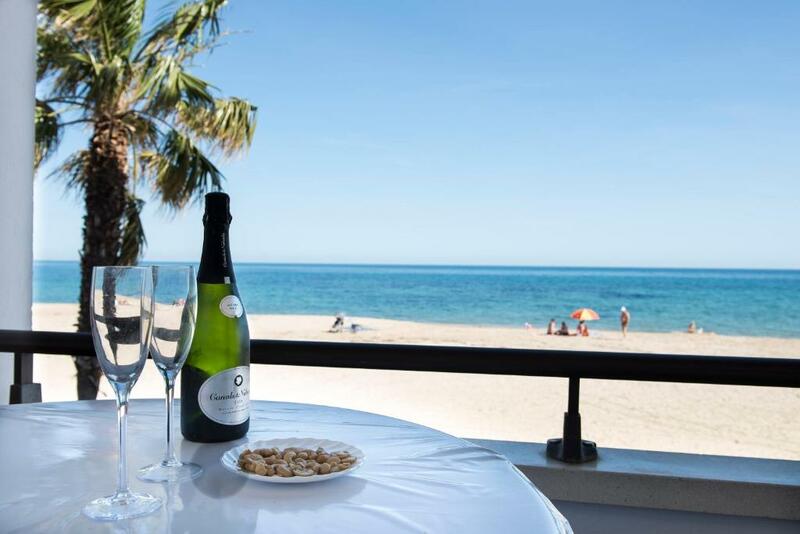 The location is excellent, right by the beach, and within easy reach of Cambrils and Salou. The apartment is lovely, spacious and comfortable with a balcony overlooking the sea. Karin and Karin couldn't have been more helpful and we definitely plan to return. Todo perfecto. Las anfitrionas son un encanto y te dan todas las facilidades para que la estancia sea genial. Ubicacion ideal. Super limpio y el detalle de bienvenida un puntazo. Gracias por todo!!! Volveremos seguro. Eine wunderschöne Lage direkt am Meer, vom Strand getrennt nur durch einen Rad-/Fußweg. Sehr freundliche Vermieter, gute Tips für Ausflüge und Restaurants. Todo en general y para ir varios dias compras y practicamente no tienes que salir. Lock in a great price for Apartamentos Haus Am Meer – rated 9.2 by recent guests! One of our best sellers in Cambrils! Set next to Cambrils’ beach, Apartamentos Haus Am Meer offers impressive sea views from its terrace. Free beach loungers are available and most apartments have a private terrace. The air-conditioned apartments feature a flat-screen satellite TV with various international channels. All bathrooms have a bath or shower, bidet and hairdryer. An electric hob, microwave, fridge and toaster are included in each kitchen. There is a supermarket a 10-minute walk from Apartamentos Haus Am Meer. You will also find a selection of restaurants within a short walk. Port Aventura is only a 15-minute drive away from Apartamentos Haus Am Meer and Reus Aigüesverds Golf Club is 8.1 mi away. Tarragona is 20 minutes’ drive away. This is our guests' favorite part of Cambrils, according to independent reviews. This property also has one of the top-rated locations in Cambrils! Guests are happier about it compared to other properties in the area. This property is also rated for the best value in Cambrils! Guests are getting more for their money when compared to other properties in this city. 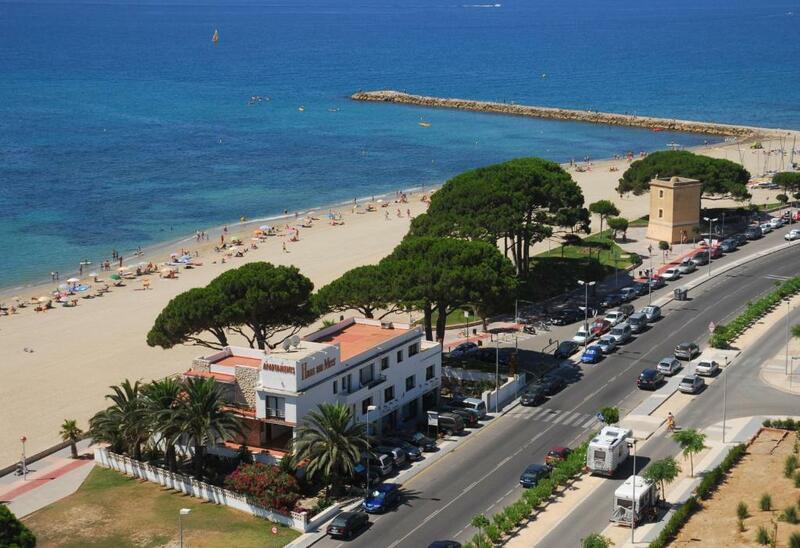 뀐 Located in the top-rated area in Cambrils, this property has an excellent location score of 9.7! When would you like to stay at Apartamentos Haus Am Meer? This air-conditioned studio offers free Wi-Fi and views of the sea. There is a living area with a double bed and flat-screen TV with international channels. The kitchen features a microwave, fridge, electric hob, toaster and kitchenware. A shower, bidet and hairdryer are in the bathroom. Please note, children are not allowed in the studios located on the 2nd floor. This ground-floor apartment has a reserved furnished space in the shared garden. It offers air conditioning and free WiFi. It features 1 double bed and a separate area with a bunk bed. The private bathroom has a shower, bidet and hairdryer. The kitchenette features a microwave, fridge, electric hob, toaster and kitchenware. Please note that it does not have a terrace or sea views, and the entrance is on the main avenue. The garden area is 66 feet from the apartment. This air-conditioned apartment offers free Wi-Fi and a private terrace with sea views. There is 1 double bedroom and a bathroom with a shower, bidet and hairdryer. The living room features a sofa-bed and a flat-screen satellite TV with various international channels. The separate kitchen features a microwave, fridge, ceramic hob, toaster and kitchenware. House Rules Apartamentos Haus Am Meer takes special requests – add in the next step! A EUR150 damage deposit is required on arrival (around USD168.11). This deposit will be fully refunded 7 days after check-out, as long as there isn't any damage to the property. Children 1 and older are allowed at this apartment. Apartamentos Haus Am Meer accepts these cards and reserves the right to temporarily hold an amount prior to arrival. Please note that there is a EUR 30 charge for late check-in starting from 22:00. Please note that you cannot check in after 19:00 between 1 October and 30 March. Please inform Apartamentos Haus Am Meer of your expected arrival time in advance. You can use the Special Requests box when booking, or contact the property directly using the contact details in your confirmation. A damage deposit of EUR 150 is required on arrival. That's about 168.11USD. This will be collected by credit card. You should be reimbursed within 7 days of check-out. Your deposit will be refunded in full by credit card, subject to an inspection of the property. What’s not to like. We had an amazing stay here. The owners, Karin and her daughter Karin, were so welcoming, friendly and helpful. Apartments are right on the beachfront, ours had a balcony which had a table and chairs which meant we could sit out and enjoy the view. The property is spotless, both inside and outside and Karin was super busy planting lovely flowers around the place in preparation for this season. Apartments are spacious, bright and comfortable. This property is in a lovely quiet area between Cambrils and Salou, approximately 20 mins walk from shops and pubs, but the local bus (Bus Plana) runs frequently and goes to Cambrils, Salou, la Pineda, Portaventura and Tarragona. If you’re going to use the bus, go into one of the Bus Plana outlets and get at T-10 card. This allows 10 journeys within this zone...costs €15 initially, and can be topped up when needed. Karin has sun loungers available to bring on to the beach. The week we were there, the beach was being cleaned as there was a lot of debris following a recent spell of bad weather, But it is an amazing area, miles long of soft sandy beach. People are buyng the appartment with such a great view to have a relaxed time by the sea for higher price, not just a stay-over-night. This appartment condition was to check-out at 10 o'clock. This is too early for relaxed vacation, to get up, have a breakfast and pack the things. At 10.15 o'clock contstruction works started and we were not aware about it. The great first impression was unfortunately gone. We were dissapointed that we had to dring the morning coffee with hammer banging behind the wall. The kitchen was small, but perfectly adequate for our needs. Everything was perfect for a late season holiday. Heater unit was noisy - was there in early spring and it was a bit cold. Pick up groceries on the way to the place because walking with bags wouldn't be nice.